Reduced size, weight, and power (SWaP) and increased standardization requirements for applications from unmanned aircraft to ground vehicles to portable communications systems are driving military power supply designs. Meanwhile, innovations such as gallium nitride (GaN) and silicon carbide (SiC) are improving efficiencies. PC/104, well into its fourth decade, remains strong globally in markets such as aerospace, defense, industrial, and medical. Such longevity is a tribute to its inherent ruggedness and the open architecture that enables PC/104 designers to continually integrate state-of-the-art processing technology from companies such as Intel and Arm. 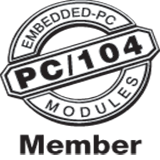 In this conversation with the PC/104 Consortium leadership, they discuss how the small form factor still fosters a robust, billion-dollar industry on the eve of the 2019 Embedded World exhibition and conference; key PC/104 suppliers look forward to hitting the exhibit floor in Nuremberg, Germany to build on the momentum in the industrial market. Two international teams of security researchers have independently and concurrently discovered “Foreshadow,” a new variant of the hardware vulnerability known as “Meltdown,” which exploits a bypass of Intel processors’ secure regions to access memory and data. In the unpredictable environment of the battlefield, the fight does not stop just because you are moving. That reality puts warfighters at a distinct disadvantage if they cannot maintain situational awareness at all times, as adversaries equip themselves with the latest wireless technology and smartphones while actively moving in ground vehicles. Mobile Internet Protocol (IP) networking is a necessary response by the Department of Defense (DoD) to counter the many foes who have ready access to this ever-smaller mobile technology. The DoD's moves are enabling U.S. warfighters to be more agile and prepared. The constant drive forward in commercial technology is also driving military-computing technology to new heights. As this progress occurs, mobile computing is becoming more relevant to the warfighter, but its benefits bring huge challenges for designers and engineers. Even as engineers deal with shrinking size and weight requirements, performance is still a big issue that mobile computing doesn't quite answer for military use. Some time ago, when designers started thinking about unmanned undersea vehicle (UUV) applications, concerns were raised that the undersea environment might be so different or exotic that standard solutions would need to be significantly modified. To the surprise of many, however, it was found that there is significant commonality between unmanned aerial vehicle (UAV) and UUV environments. There are, to be sure, unique aspects to each type of platform, but in general, standard rugged military commercial off-the-shelf (COTS) embedded solutions are applicable to both. Radar, communications, and SIGINT [signals intelligence] systems have traditionally combined sensor processing, data conversion, and signal processing hardware within single enclosures or equipment racks. Analog signals for antennas, transducers and other sensors were connected through cables, often causing loss and interference along the way. However, enabled by new data converter and field-programmable gate array (FPGA) technology and evolving open embedded computing standards, system designers can now deploy small-form-factor (SFF) subsystems at each sensor site for distributed signal acquisition and preprocessing. Digitized signals are then delivered through optical cables, providing higher signal quality over longer connection distances while reducing size, weight, cost, and maintenance.